Andrew Goldstein is a member of the Eli and Edythe Broad Center for Regenerative Medicine and Stem Cell Research at UCLA. 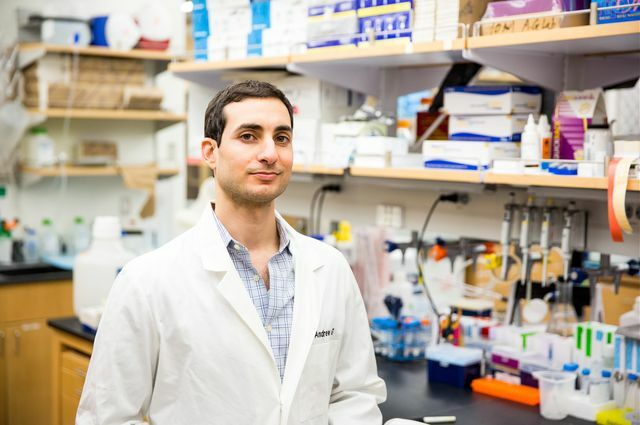 UCLA researcher Andrew Goldstein has been awarded a research scholar grant from the American Cancer Society to fund his work on prostate cancer. 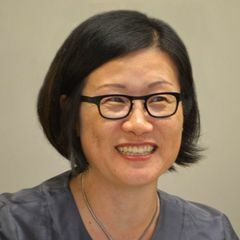 Goldstein is an assistant professor in residence in the departments of Urology and Molecular, Cell and Developmental Biology, and a member of the UCLA Broad Stem Cell Research Center and Jonsson Comprehensive Cancer Center at UCLA. The grant program is designed to encourage young professors to investigate unique ways of thinking about cancer in order to advance basic cancer biology discoveries and improve cancer prevention and treatment options. Goldstein’s grant will support his efforts to define the role of a molecule called CD38, which may play a key role in preventing aggressive prostate cancers. Better understanding of CD38’s role in prostate cancer could lead to the development of improved screening methods and treatments for the disease. 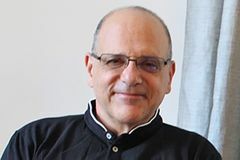 Goldstein earned a bachelor’s degree in biochemistry and molecular biology from Dartmouth College and completed his Ph.D. at UCLA while working in the lab of Dr. Owen Witte. 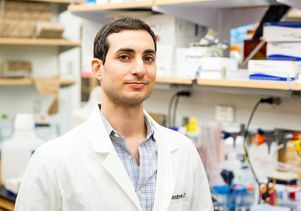 Goldstein's previous awards for this research include an Idea Development Award from the U.S. Department of Defense and a Young Investigator Award from the Prostate Cancer Foundation.